5. Christmas Vacation (1989) For me this is the very best of the "Vacation" franchise. It has some of the best elements of the other films in the series added in with the stress of the holidays and the tension that comes with a big family. Clark Griswold's continual failure leads to a magnificent break from reality and one of the best "yeah, he should be in jail now but we'll let it slide this time" moments you'll ever see. Plus, the cat getting fried cracks me up every time. 4. 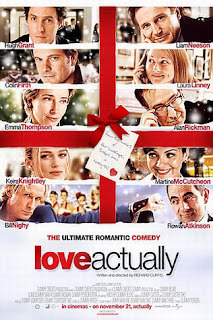 Love Actually (2003) An outstanding romantic-comedy with a Christmas background, "Love Actually" also qualifies as one of my favorite chick-flicks of all time. The interweaving of the lives of the ensemble cast is excellent and the realistic good feeling of the movie allows you to look past any far-fetched connections. We get some stellar performances as well, particularly from perpetually overlooked Liam Neeson. And there's always something awesome about an almost all British cast. 3. The Muppet Christmas Carol (1992) Am I correct in assuming that no one doesn't like the Muppets? There's no one out there with a secret vendetta against Kermit or Fozzy, right? Because no matter how old I get, the Muppets still hold some awesomeness for me. While all the Muppet movies are good, "The Muppet Christmas Carol" is, in my opinion, the crowning achievement of the franchise. It's a wonderful blend of music, classic literature, and general silliness capped off by a surprisingly strong performance by Michael Caine. Caine, who's been known to take a paycheck and mail in a performance a few times, plays Ebenezer Scrooge like he's in a big time stage adaptation of Dickens' novel. Just absolutely goes all in for a kid's movie starring a puppet and you gotta love that. 2. Elf (2003) Here's how great "Elf" is: I know lots of older adults (some family members included) who hate Will Ferrell. HATE him. To a man, those haters will happily sit and watch "Elf" any time it comes on TV. Likewise, lifelong Ferrell that I am, I would call "Elf" my second favorite Ferrell movie behind only "Anchorman." Just like Caine in "The Muppet Christmas Carol," Ferrell absolutely goes ALL OUT for his role in a children's movie and that performance makes the film. The movie is just straight up hilarious. I very, very rarely watch even part of a movie that I own on DVD/Blu-Ray. If I want to watch it, I'll pop it in. But I'll almost always watch a few minutes of "Elf" if given the chance. 1. 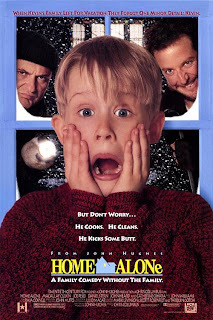 Home Alone (1989) Absolutely no question in my mind that this is the best holiday movie of all time. If I see a Christmas movie list like this and it doesn't contain "Home Alone" I scoff in anger and immediately disregard its validity. That's like making a best sci-fi list and not including "Star Wars." Please. Whether watching alone or with a group, there are numerous moments that make me laugh out loud despite the fact that I've seen this movie upwards of 50 times. I LOVE it. "Home Alone" is INSANELY quotable, too, with a litany of lines that I can and do quote in every day life. As I've gotten older my viewing of "Home Alone" has changed some. For instance, I've realized that Daniel Stern and Joe Pesci could never have lived through the beating Macaulay Culkin delivers them. These days the Wet Bandits would probably sue the McCallister's if they ever came out of the coma that a paint can to the face could inflict. But one thing that still holds up to me is the absolute plausibility of how Kevin McAllister comes to be home alone in the first place. With no cell phones or Internet, this setup could totally happen and I love that fact. And if nothing else, it's always great to see John Candy in his element.